How well do you know trails? 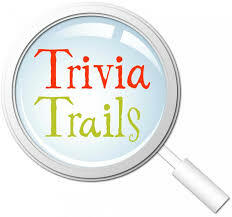 Test your regional and national knowledge of trails at our Trail Trivia! Winter blues got you dreaming of the outdoors? Join the Trail Conference and our friends at Merrell for a fun-filled evening of testing how well you know the trails in our region and beyond! What better place for our trivia than in the trail town of Warwick, N.Y. at popular post-hike destination, Pennings Farm Market. Giveaways will be given after each round to the highest scoring team. Before and in-between rounds, try on a pair of Merrell's Ontario hiking (Women’s + Men’s) shoes. Merrell's "trail-to-tavern" shoe is a blend of lifestyle and hiking, providing a fashionable but highly technical boot. For every drink purchased, Pennings will donate $1 in support of the Trail Conference! This event is free! We will be accepting donations to benefit the parks and trails you love to explore.